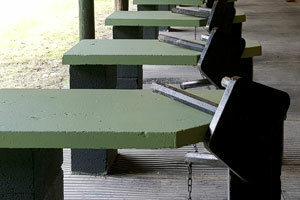 The 100m Full Bore Range has 15 covered firing points, all with proper concrete shooting benches, including bench facilities for left and right-handed shooters. 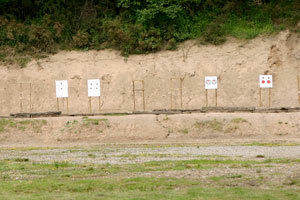 We also have facilities for prone, kneeling, sitting and standing shooting. 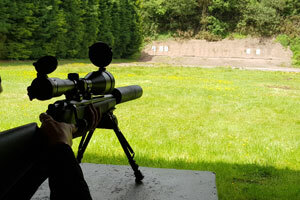 We do accept exclusive bookings for the 100m range, please call us on 01743 791858 for more details. If you are planning to visit us, please Ring 01743 791858 To Check Updated Availability of Ranges, especially if you are travelling any distance. Paper targets ONLY are to be used, and no shooting of target frames.